Trying to learn some of the basics of programming is the same as to tinker with a car when one is a teenager: some people end up going to engineering school, and others, twenty years later, remember nothing of the experience. The only thing that I see wrong with choice C is that it uses 'like' to compare actions; we an only use 'like' to compare nouns. If choice C read 'as tinkering with a car as a teenager' would it be correct (over A)? I don't see how we can distinguish b/w choice A & C on the basis of parallelism. How do we know that 'to learn' is supposed to be parallel to 'to tinker'? Why doesn't 'trying' have to be parallel with 'tinkering'? "The only thing that I see wrong with choice C is that it uses 'like' to compare actions; we an only use 'like' to compare nouns. " "[the act of] trying to learn"
"[the act of] tinkering with a car"
So you can use "like" when comparing to acts of doing something, as in this case. The words "try" and "tinker" are verbs by themselves, but once you add the "-ING" and use them in this context where you can mentally add in "the act of" in front of the words, then they are no longer acting as verbs. Essentially, you are drawing similarities between two ACTIONS. One action is the act of "trying." The other is the act of "tinkering." Answer choice C accurately portrays this concept. 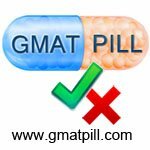 I agree with GMATPill. You can treat the Verb-ing phrases as noun phrases with "act of verbing" in the front. I think the other answer choices are not wrong in conversational use. Technically and as the GMAT would test it, parallelism would be the best answer choice. "Trying to learn..is like tinkering with a car"
This answer choice C is the only one that uses the structure "-ING is like -ING"
The others are variations and are not parallel. 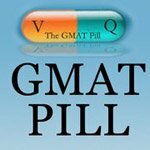 Conversationally correct but GMAT-wise C will be the best answer. Thanks GMATPill. "Trying to learn" and "[trying] to tinker"
This would maintain consistency/parallelism and is the reason (A) is correct---there is an implied repetition of the word "trying" that I overlooked. The subtlety I missed on first read was that in (C), "Tinkering with a car" is not exactly in the same format as "Trying to learn"--even though it contains the -ING verb. "-ING verb + to + verb"
In order for (C) to be correct, it would have to be also in the form of "-ING verb + to + verb"
For example, (C) would have to be something like: "like intending to play around with a car as a teenager"
Eliminating (C) because of the word "like" would not be right, as explained earlier. However, eliminating (C) because it is not exactly of the form "-ING verb + to + verb"--is a legitimate reason. 1) recognizing that there is an implied repeat of the word "trying" in answer choice A: "[trying] to tinker"
2) recognizing that the -ING verb "tinkering" in (C) is not good enough---you also need the "to + verb" afterwards in order to maintain consistency. Apologies for the confusion eariler--but hopefully the explanation makes sense! First of all, this essence of this question is comparison of comparable things both in logic and form. A falters at the very outset, because the text tries to compare 'trying to learn’, a gerund, with 'to tinker' an infinitive; this is logically and structurally ungrammatical. B also indulges in the fatal error of comparing trying with a teenager. C uses the preposition ‘like’ for comparison. Therefore the preposition ‘like’ should take a noun after it and also compare a process with another process. Trying is a gerund and a process and tinkering is gerund and a process and both are structurally and logically comparable. Hence C ought to be the right choice. D uses ‘as’ and has the error of using a noun phrase after ‘as’ rather than a clause. In E, the objection is for using the definite article ‘the’. ‘A teenager’s tinkering’ is different from ‘the teen-ager’s tinkering’. The official answer being A is not a concern, unless it is an OA or OE from GPRP or OG. the question is from 1000 series. It is provided that answer is A, but I believe that it is C.
Trying and tinkering are both gerunds. Gerunds are action nouns. 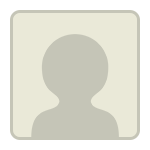 Dissimillar nouns are compared using "like" , similar the same as. Do both of the procese are exactly similar or have a degree of dismiliraity? Try to - is an idiom. IMO answer should be A. The only possible choice is A. Other choices used the wrong comparison items "Trying to learn some basics of programming" with "teenager", or the wrong usage of the word "like". I would actually lean towards C. A does not retain parallel verb forms; you have "trying" paired with "tinker". B, D and E, meanwhile, have slightly differing meanings, on account of their having shifted slightly too much of the focus from the act of tinkering to the teenager performing said tinkering. This leaves C as my preferred response. The answer must be C. First thing to note is that this is indeed a comparison. As long as we compare a noun or gerund with yet another similar thing, it is ok to use – like -. We must remember that trying or tinkering are not verbs here, but simply gerunds. However, more importantly, we must compare the gerund of trying with yet another similar gerund. We should not compare the process of trying with a human being as a teenager. In addition, the comparison should maintain //ism. (C) like tinkering with a car as a teenager – compares correctly trying with tinkering; correct choice. (E) like the teenager’s tinkering with a car; though trying is compared to tinkering , the intrusion of the possessive teenager’s dilutes the comparison somewhat as if there is something specific as a teenager’s tinkering and it is a universal happening . The straight comparison of trying with tinkering in C is superior and hence, we have to choose that as the best among the lot.